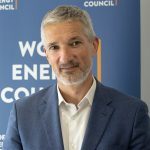 Ahead of World Energy Week from kicking off on 8 October, Marco Margheri tells us his expectations for the event; how Italy is facing the Energy transition; and what he sees as the most significant trends impacting the energy sector. Mr Margheri began his career in the energy sector at General Electric. Presently he serves as Edison’s Executive Vice-President for Institutional and Affairs & Sustainability, overseeing the group’s advocacy activities at a national, European and international level. 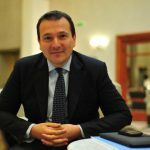 Since 2016, he has chaired the Italian Member Committee of the World Energy Council. The Council was excited to organise the first European regional scenarios workshop with an ‘innovation twist’, supported by its French Member Committee, which took place in Paris, on 6-7 September. The workshop convened a diverse group of regional energy leaders, experts from Europe and the Council’s members, to facilitate strategic knowledge exchange and promote open discussion of energy transition challenges, changing consumers behaviours and innovation opportunities. The participants developed three narratives to 2040 and explored how new and emerging ecosystems might disrupt energy values chains in each. The Council played a central role at Blockchain Live 2018 this month which brought together leading energy, utility and commodity providers, with Marzia Zafar, Director for Innovation and Issues Monitor, chairing the Energy Forum. The keynote session, one of the nine main stages at the event, explored how blockchain, as a key pillar technology of the 4th industrial revolution, is helping organisations realise significant efficiency gains as well as deliver savings to customers. 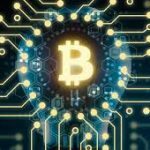 With talks on blockchain case studies from household names in energy, utilities, oil and gas, the Forum explored how blockchain and crypto are helping the green/renewable energy sector as well as local energy markets. DENA and the World Energy Council are happy to announce the third round of SET! The application phase will be launch during a kick-off event at the World Energy Week in Milan on October 10, 2018. Start-ups will have until 31 January 2019 to apply. The 18 finalists will be invited to the Tech Festival in Berlin and the Top 100 start-ups will be invited to showcase and participate in the World Energy Congress in Abu Dhabi next September, in both cases, accommodation and flights are paid. All information on categories, prizes and criteria may be found here. We encourage the MCs to invite the start-ups of their countries to participate!